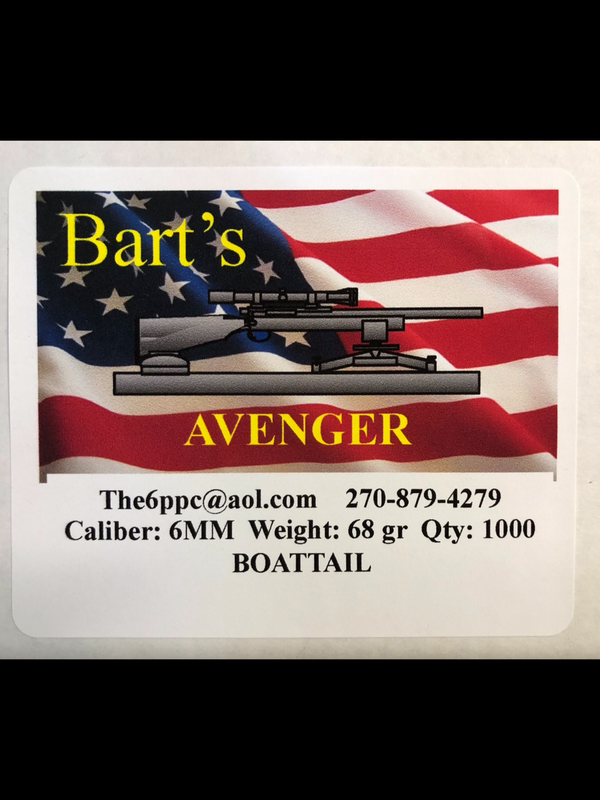 The Avenger 68 grain Boattail is the replacement bullet for the venerable, and now retired Ultimate 68 grain Boattail. The Avenger has the same proven 6/9 double radius ogive design and is already winning at the national level! Sold in 500 or 1000 count boxes. Price is $290.00 per 1000!